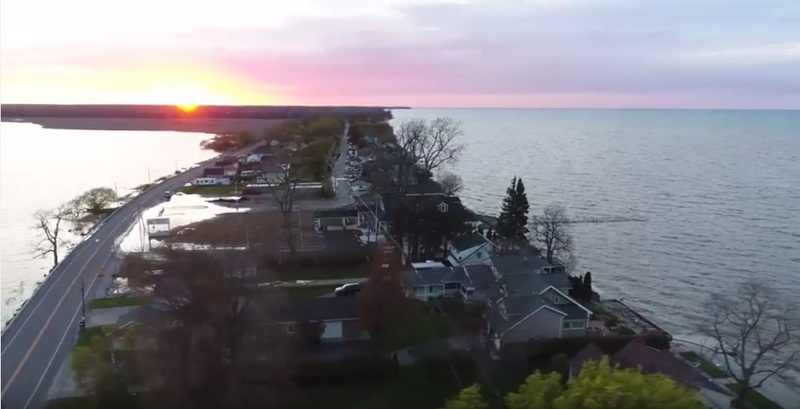 http://buffalonews.com/2017/05/12/watch-aerial-drone-footage-flooding-along-lake-ontario-shoreline-along-crescent-beach-lake-pond/ – Buffalo News captures the impact of flooding from Lake Ontario. In Quebec and British Columbia, there has been record flooding, this month. According to various news outlets, this is due to abnormal sea levels and a shift in Canadian rainfall. Due to these abnormal weather patterns, the Ottawa River’s current, has almost doubled in velocity, this past month alone. This shift in rainfall, has created severe flash floods, both in Canada and the United States. 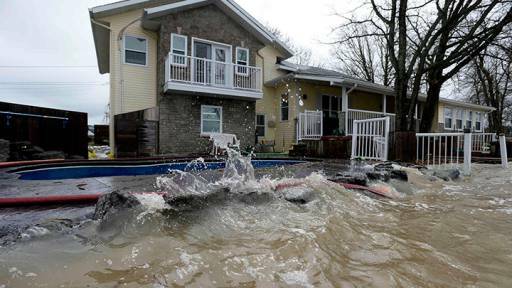 In the wake of this flooding; northern New York, Ottawa, Buffalo, Gatineau and Toronto, among dozens of other small town communities, have been negatively affected. Nevertheless, Canada’s not the only region, experiencing this month’s abnormal, flooding patterns. This week, an estimated 170 people have died in Russia, due to flash floods. (http://www.telegraph.co.uk/news/picturegalleries/worldnews/9386813/Flash-floods-in-Russia-leave-more-than-170-people-dead.html). To be clear, flash flooding in Russia, has occurred nearly simultaneously, to flash flooding in Canada, this Spring…… In fact, proof of this flooding is online today, as Russian citizens have posted a variety of pictures describing the flooding themselves….(https://www.rbth.com/politics_and_society/2017/04/19/huge-russian-floods-shared-on-instagram-by-locals_746568). So what is causing these abnormal flooding patterns around the world? Popular science wrote a great article, cataloging the acute nature of this particular disaster. http://www.popsci.com/canada-flooding. So…. why the unusual flooding patterns in Canada? Furthermore, do the 170 flooding casualties in Russia, indicate that these weather patterns are seemingly unnatural? Climate scientists have speculated that this was the 2nd warmest February, since weather records began, over 100 years ago. For this reason,it is not arbitrary to assume, that snow melt in the Arctic, is in fact responsible, for this unusual flooding. But why isn’t this issue receiving more mainstream media attention? Ottawa, Canada – flooding this past week. That answer, is a bit more complicated…..
It’s clear and straight forward, from a scientific perspective, that snow melt in the Arctic is likely causing these disasters. In fact, it’s seemingly obvious that oil consumption, combined with deforestation, have contributed to rising CO2 levels, causing these unusual weather patterns. However, what is not clear, is why nothing is being done to curtail this problem from worsening. In particular, this issue is troubling, because it represents a global problem, requiring a global response. For this reason, initiatives to curb snow melt, or in essence reverse the effects of global warming, require more than domestic politics. So why aren’t US politicians jumping at the opportunity to curb this global catastrophe? Furthermore, why are media outlets overlooking this flooding? I personally have my own opinion on the circumstance, in terms of “political games,” surrounding this situation today. Since President Trump’s nomination, Rick Perry was chosen as Trump’s “front man” on American energy policy. This was a suspicious appointment from it’s very onset, for a variety of reasons. While many in the science community, including NASA, conclude that oil consumption has played a large role in these, “modern weather phenomenon,” simultaneously, Rick Perry has vehemently denied the existence of man mad global warming. To be clear, Rick Perry has publicly stated in the past, that he does not believe, “global warming,” is a man made ordeal. Nevertheless, since his appointment within Trump’s cabinet, Perry has somewhat reversed that stance publicly. Today, Perry is claiming that he now believes, “global warming,” is in fact, “somewhat,” due to human interaction. Rick Perry – Trump’s choice for energy secretary. Image via -Google images. Well Perry’s first act as energy secretary was to pass the Keystone XL Pipeline, in essence worsening the crisis. To make matters worse, Perry then took “global warming facts and information,” off of American government websites, claiming the White House was quote, “altering it’s stance on the issue.” And this type of, “action,” is troubling for a variety of reasons. Instead of confronting the issue, Perry’s first act as energy secretary, was to eliminate government sponsored information, regarding climate science altogether….. So why did Trump nominate Rick Perry to this post? And will climate science data, eventually be re-posted to the government website, for which it was scrapped? Furthermore, whats going on between the lines? What political games are being played when it comes to CONFRONTING this issue….? Or…. do the American people just not care? I have a variety of personal theories, regarding this stance from the Pentagon…….. I personally believe that Trump chose Perry as energy secretary, for politically tactical reasons. I believe Trump did this for 2 reasons. I believe Trump chose Perry as energy secretary, both to troll foreign leaders abroad, who publicly deny climate change, as well as to bargain with liberals in the senate, over the issue of “gay marriage.” In this way, President Trump can use this issue as a tactical point of emphasis, in an effort to curtail his liberal opposition on gay marriage and leverage Christianity, within public schools….. So, I believe in this way, Trump has created a “political game of chicken,” regarding global warming and gay rights. 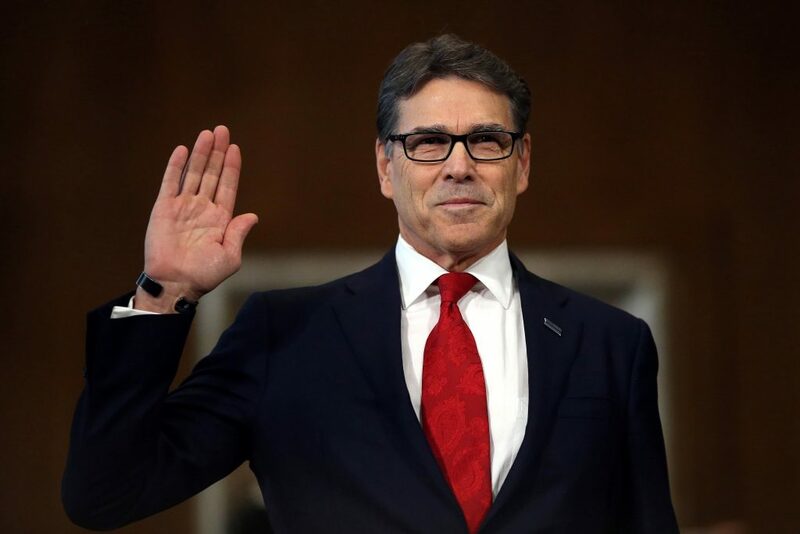 I do not believe that Rick Perry is incapable of heading the Energy Department, in fact, if Perry does change his stance, opting to take a pro-active approach to this issue, then Perry could very well change his entire image within the United States. If Perry did take pro-active measures to climate change, Perry could perhaps even become one of the most important leaders our country has ever had….. In fact, simply by building subways and light rail infrastructures, designed to curtail global warming, Perry could completely revitalize a Republican base, which has previously been stubborn to take accountability for global warming at all. Nevertheless, that is a big, “IF,” especially for a man who in the past, has vehemently denied global warming himself. -William Larsen, Civilians News, News For All Views.